Devang Thakkar was half awake at 4am, Seattle time, and had to blink twice at the live auction at Phillips in Hong Kong on his screen. A client in New Jersey was bidding over Artsy’s app, going after a George Condo painting. The bidder was knocked out once, then twice, but ultimately prevailed, winning the Condo for an above-­estimate HK$2.48m. 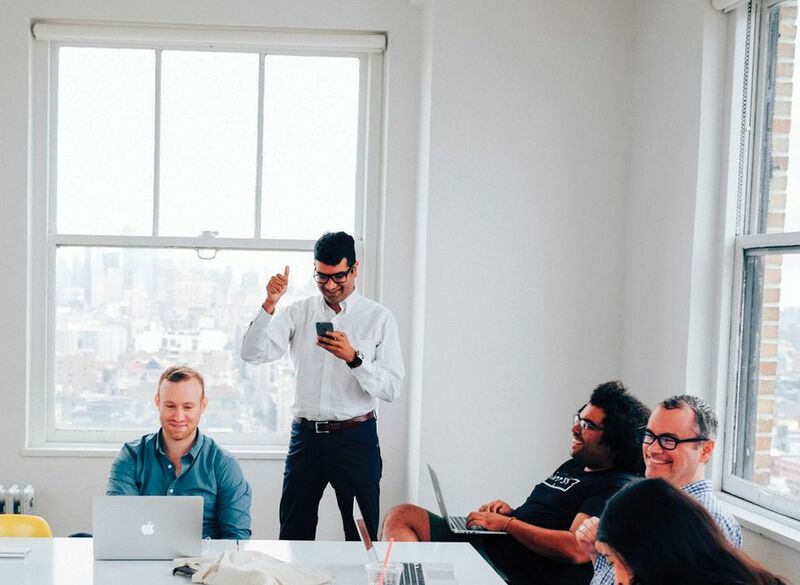 In that moment Thakkar, a trained software engineer and head of auctions for Artsy, knew his vision was working. With the New York-based start-up’s announcement over the summer of an additional $50m in venture funding, online auction wars are heating up. According to the 2017 Hiscox Online Art Trade Report, the past year has seen increasing competition in the digital sales sphere, causing casualties for online start-ups that had vowed to “disrupt” the estimated $3.75bn segment of the industry. The heritage incumbents are stepping up their game; in a bold move, Sotheby’s announced in late August that it was doing away with buyer’s premium for online-only sales. No single seller has achieved critical mass, and the model that has gained the most traction is the third-party marketplace, which functions not as a threat to existing, trusted brands but as a facilitator for them. Rather than competing with bricks-and-mortar houses for quality consignments, they help market it to a wider clientele and provide sophisticated live-bidding technology. Boston-based Invaluable is one such example. With 5,400 sellers, three million monthly unique visitors and $10bn in listed items, it is a giant in the third-party platform arena. (The next largest, LiveAuctioneers, lists around 3,500 sellers.) Its chief executive since 2012, Rob Weisberg, a former Zipcar executive, believes the iPad is overtaking the paddle—more than 40% of the site’s traffic is from a mobile device. Launched in 2009, Invaluable.com is the product of a merger of auction-support businesses, including the vast auction price database Artfact. By providing an integrated plug-in on the back end for the houses’ own websites and serving thousands of sales to potential buyers through a single portal, Invaluable allows small, local houses visibility alongside multinational firms. While Invaluable has built a reputation on translating auctions into the digital sphere, the continually evolving Artsy is a more amorphous entity that tends to inspire either enthusiasm or confusion. Its co-founder and president Sebastian Cwilich, a former Christie’s executive, speaks of eventually becoming a centralised hub for all art information and transactions, and the company has so far totted up more than $100m in investment, including from the dealer Larry Gagosian and Dasha Zhukova, the founder of Garage Museum of Contemporary Art in Moscow. According to Robert Read, the author of the Hiscox report, art start-ups face a “chicken-or-egg” challenge: they must generate trust to win quality partners or consignments, which generate more trust, creating a virtuous cycle. 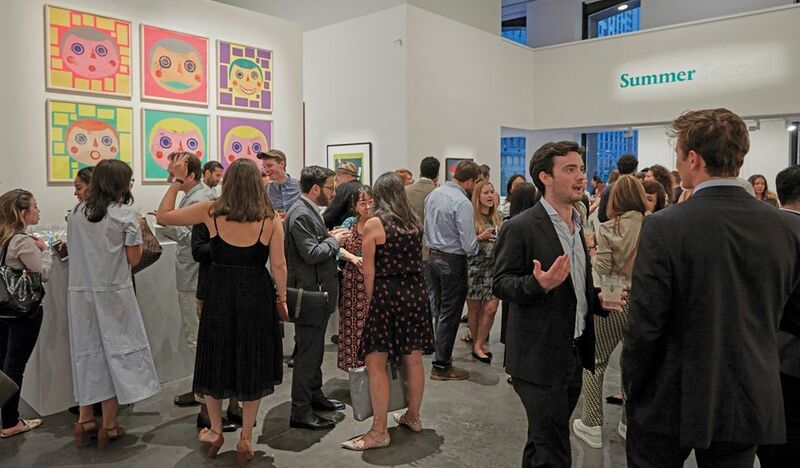 Mindful of this loop, Artsy has systematically cultivated art-world players ranging from museums to fairs to galleries big and small, all while cementing its credentials among a youthful and tech-obsessed audience via splashy Art Basel Miami Beach parties and other events. Artsy claims 24 million unique visitors since the site was launched in 2012, many drawn by its deep well of editorial content. The site’s bread and butter is exhibition and artwork listings for 2,000 galleries around the world, helping drive more than $20m in monthly sales. When he arrived in 2015, Thakkar’s brief was to create a live auction integration that, in its elegance and accuracy, would help breed that elusive trust. He settled on a hybrid system wherein an Artsy clerk in the room translates the bid activity to the Artsy app, while users’ bids—including those placed before the sale’s start—are automatically sorted for the clerk to register in the room on their behalf. “It’s pretty complex math that happens in the back end,” says Thakkar who, while at Microsoft, invented the control-Z “undo” keyboard shortcut. “But we’ve simplified that into a human-readable, six-button thing. You can’t get it wrong.” Since the first live sale with the Swiss auctioneer Koller in June 2016, he can recall a single hitch: when Amazon’s cloud, which hosts the lot images, went down, and a Phillips sale had to be delayed for 30 minutes. From two auctions in 2015 to 41 in 2016, Artsy is on track for more than 170 in 2017, bridging its audience to select sales at Christie’s, Sotheby’s and Phillips, plus a range of smaller houses, including Rago in Lambertville, New Jersey, Waddington’s in Toronto, and Veritas in Portugal. Bidding activity has grown 900% year on year, with Artsy clients in 84 countries bidding on a third of all lots listed on the site and winning about 8% of them. The company is seeking creative ways to leverage the supply and demand data it is harvesting. Anders Petterson, the founder of the market research firm ArtTactic, says, “I think to engage new people, new tools are required. New collectors want transparency, particularly in the online market. And you have the financial services industry looking at art as an alternative asset class, a financial instrument, and they require data.” The problem for the art market so far has been that it is too small and too slippery to quantify with the existing data points—and those who have more intel have been happy to keep it to themselves.